Families can always turn to Honda SUVs for the refinement, safety features and versatility they're looking for in a family vehicle. The 2019 Honda Pilot is Honda's largest SUV, offering three rows of roomy seating for up to eight passengers. Every new Pilot SUV boasts Honda's latest suite of Honda Sensing® driver-assistive technologies to help protect your family during any journey with features like a Collision Mitigation Braking System™. Plus, with the Pilot's standard Multi-Angle Rearview Camera, you can enjoy an expansive view of your surroundings for added safety and security. When you're ready to delve into family-friendly 2019 Pilot SUV near Marlton and Hamilton, New Jersey, shop and visit Davis Honda. 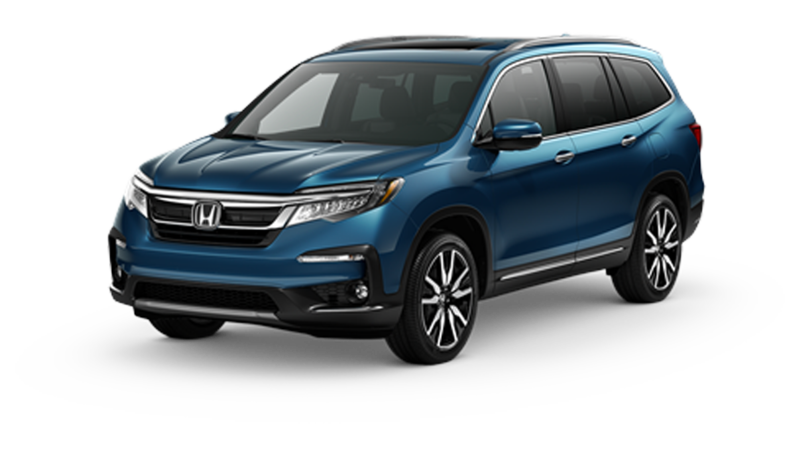 Our new and pre-owned Honda dealership in Burlington, NJ stocks an array of well-equipped Honda SUVs for sale, including the roomy and refined Pilot, so explore our new Honda Pilot inventory online or on-site today. Starting with the 2019 Honda Pilot LX, every edition of the Pilot builds upon the one before it, providing even more features and enhancements as you move through the five available trim levels. With standard V-6 performance generating 280 HP, the new Pilot boasts the power needed to transport up to eight occupants with confidence. An available variable torque all-wheel-drive (AWD) system is offered across the new Pilot range and gives you the all-weather traction when the road conditions turn wet. The 2019 Pilot EX trim and above adds Intelligent Traction Management, which boasts up to four drive modes in AWD models, including Normal, Snow, Mud and Sand that helps you tailor your drive for the on-road or off-road conditions! With models like the Pilot Touring and Elite trims, you'll find an elevated cruising experience with premium amenities including leather-trimmed seating, heated front and rear outboard seats, an available panoramic roof and so much more. There's so much more to discover on this Honda SUV, so stop by Davis Honda, serving Princeton and Burlington, NJ drivers. We offer new Honda financing and lease offers for you to explore while you shop for your family's new Pilot SUV here on our website!